Amazon has fought hard to dodge sales tax bullets fired by several states, including California, New York and Connecticut. The debate has been over whether or not such requirements jibe with existing federal and state commerce laws and in a couple of cases, even why Amazon should be singled out over other online retailers. Amazon's bullet-time may be running out though as Congress considers a bill poised to enable states to collect sales tax from out of state businesses. On Wednesday, officials held a House Judiciary Committee meeting to discuss sales tax, the Internet and the "Streamlined Sales and Use Tax Agreement", a bill put together by 10 senators. Amazon's vice president for global public policy, Paul Misener, took part in the meeting. Other company and organization leaders were there too, including eBay and the National Retail Federation. 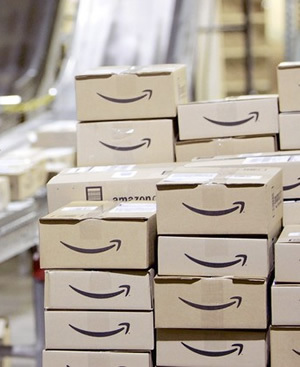 Despite Amazon's adamant, past opposition to collecting sales tax from its out-of-state customers, Misener claimed to strongly support new federal legislation as it may provide an "even-handed federal framework" for states to collect their share. Misener continued, "Amazon strongly supports enactment of a federal bill with appropriate provisions". Recent estimates by the National Governors Association peg potential sales tax revenue at about $22 billion. Currently, this is money that states are unable to collect as they cannot compel businesses outside of their borders to collect taxes on sales. Misener noted that, "Widespread collection no longer would be an unconstitutional burden [because of current technology] on interstate commerce, and Congress feasibly can authorize the states to require all but the very smallest volume sellers to collect," but he cautioned that the exemption threshold, "must be kept very low to attain the objectives of protecting states' rights, addressing the states' needs, and creating fairness among sellers". Included in the bill is a clause that exempts online retailers who generate under $500,000 in gross revenue. eBay's vice president, Tod Cohen, said the company supports the exemptions for small business retailers. However, Misener pointed out that less than 1% of online retailers actually do more than $150,000 worth of sales per year.